According to Kremlin spokesman Dmitry Peskov, Russian military has already reported to Vladimir Putin on establishing communications with France’s aircraft carrier in the eastern Mediterranean Sea. The Russian military has already reported to President Vladimir Putin on establishing communications with France’s aircraft carrier, the Charles de Gaulle, operating in the eastern Mediterranean Sea in the fight against the Islamic State terrorist organization, Kremlin spokesman Dmitry Peskov said Monday. “The [Russian] military reported this publicly to the commander-in-chief during a televised uplink last Friday,” Peskov told journalists. PARIS, November 17. /TASS/. Anti-terror means account for 4% of Russia’s state arms exporter Rosoboronexport’s total portfolio, Rosoboronexport Security Department Head Valery Varlamov said on Tuesday. Varlamov is heading the Russian delegation at the Milipol-2015 internal state security exhibition that has opened in Paris. “Anti-terror means account for 4% of Rosoboronexport’s total portfolio. If we look at the volume of these means, which the company exported 10 years ago, it also made up 4%. However, the share of these means in terms of their value has increased,” the Rosoboronexport official said. Adviser to the Rosoboronexport CEO Mikhail Zavaliy said earlier the current volume of the company’s deliveries stood at $13 billion. Therefore, anti-terror means account for about $520 million in the company’s portfolio. 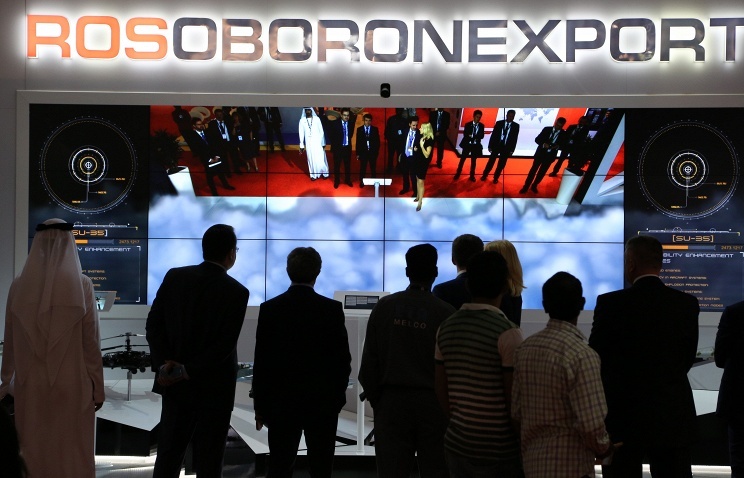 “The terrorist acts in Paris have increased the interest of some European countries in the exhibits of Rosoboronexport. Negotiations are planned in the process of the exhibition with a whole number of potential customers, including from Europe,” Varlamov said. The means that can be used to fight drug trafficking are acquiring special importance, the Rosoboronexport official said. The Rosoboronexport press office reported earlier on Tuesday the company would demonstrate typical comprehensive security management systems for cities and critically important facilities at the Milipol-2015 internal state security exhibition in Paris. These projects envisage the use of over 200 types of special equipment and armaments, Rosoboronexport said. “Terrorism, crime, illegal migration, drug trafficking and smuggling pose an obvious threat to all states, irrespective of geopolitical circumstances,” the Rosoboronexport press office said. “That is why, we’re open for close interaction with all parties interested in cooperation, including with European partners,” the press office quoted Rosoboronexport Security Department Head Varlamov as saying. Rosoboronexport specialists will also present typical projects for the protection of land and maritime borders and large-scale sports events. As the Rosoboronexport press office said, such systems are designated to create common information space, coordinate and manage the activities of various law-enforcement agencies and security services. These systems can integrate components operated by partner countries and use the developments of national producers. 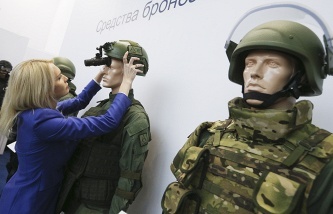 “Highly protected Russian IT-solutions and over 200 types of special technical means, special equipment and armaments are offered to create comprehensive security systems,” Rosoboronexport said. Special small arms for anti-terror squads include pistols, pistols-machineguns, sniper rifles, grenade launchers and assault grenades of various capacity and calibers. Rosoboronexport will also feature assault weapons represented by 6G-30 and GM-94 grenade launchers with lethal and non-lethal ammunition, special multipurpose vehicles, multipurpose helicopters and fast-speed patrol boats.